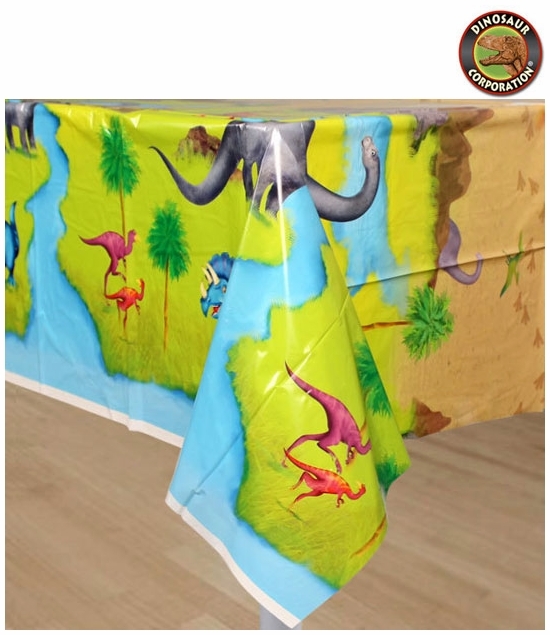 Home | PARTY SUPPLIES | DINOSAUR PARTY | Prehistoric Jungle Dino Table Cover, 84" x 54"
Prehistoric Jungle Dino Table Cover, 84" x 54"
Welcome in the Jurassic Jungle with Prehistoric Dino Plastic Table Cover showing active volcano with T-rex, Triceratops, long neck Brachiosaurus, Pterodactyls, Velociraptor, active volcano, desert with dinosaur footprints. Let's celebrate! It is a Birthday Party Time!